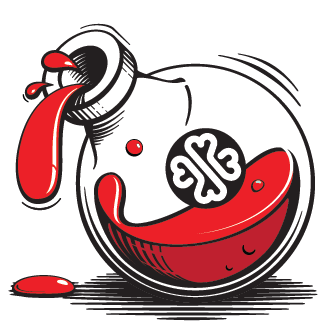 Lucky Syrup is not your mass market product. It is for those who are not mesmerized with fashion or the uniform look. It does not blend you in – on the contrary, it singles you out in the crowd, reflects something individual. This is augmented by the concept of luck that follows a positive-minded and optimistic person, thus completing the notional cycle: a vibrant person chooses a vibrant article that makes him or her even more vibrant.